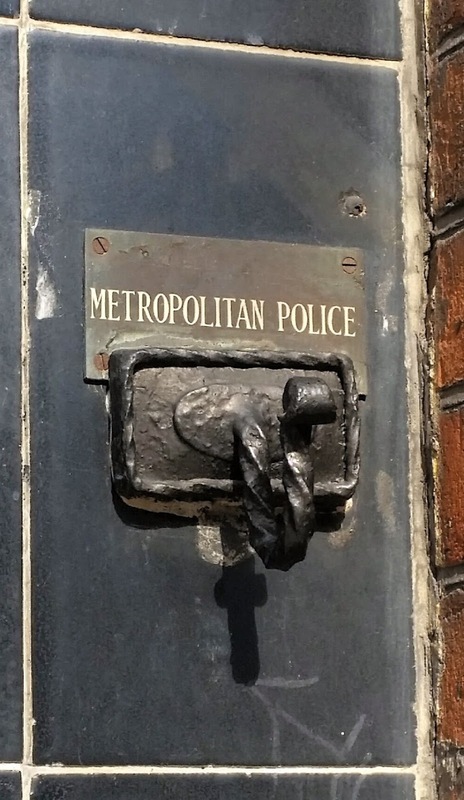 The Policemen's Hook, Great Newport Street. 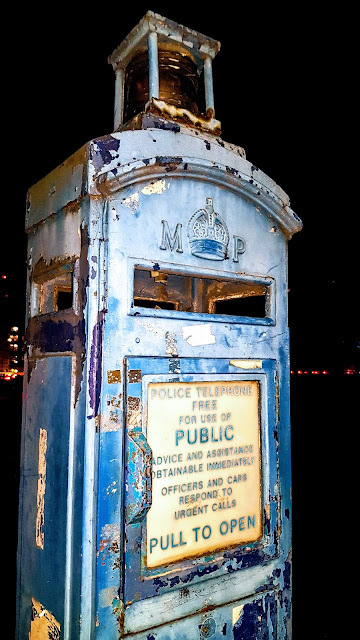 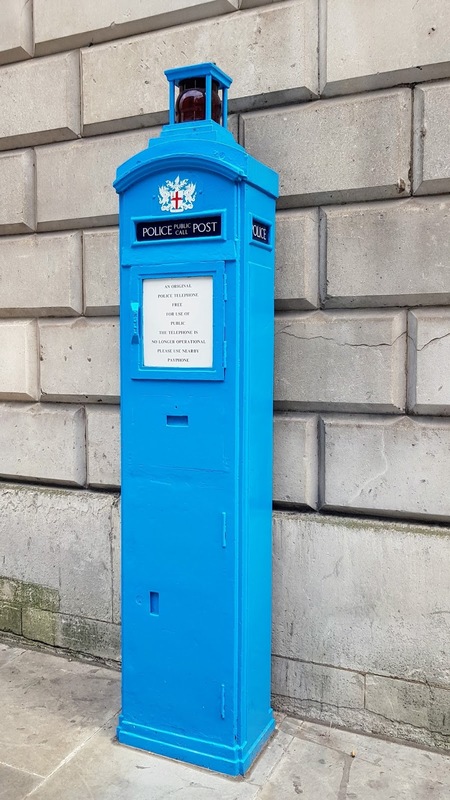 Police Telephone Post (nonfunctional), Grosvenor Square. 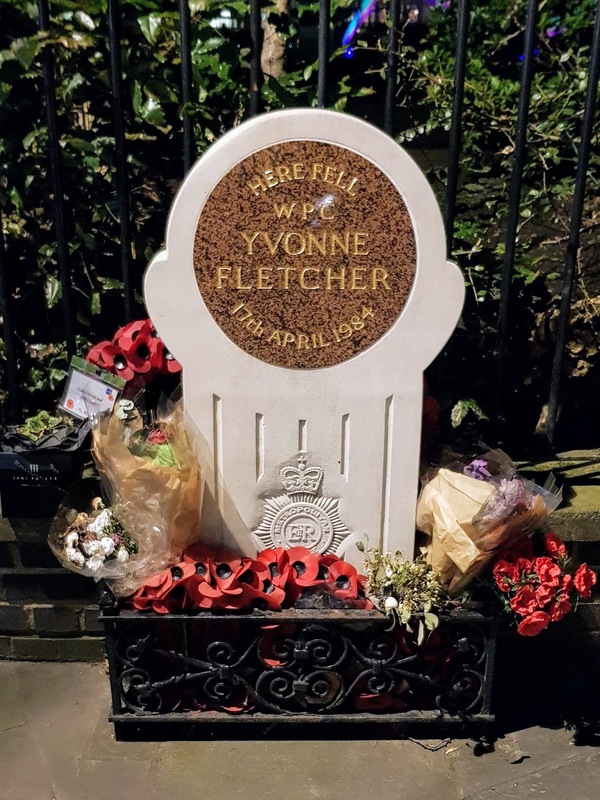 Murdered in the Line of Duty. 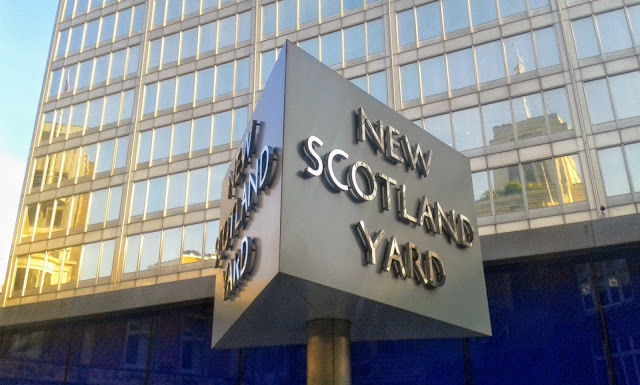 New Scotland Yard HQ (1967-2016), Broadway. 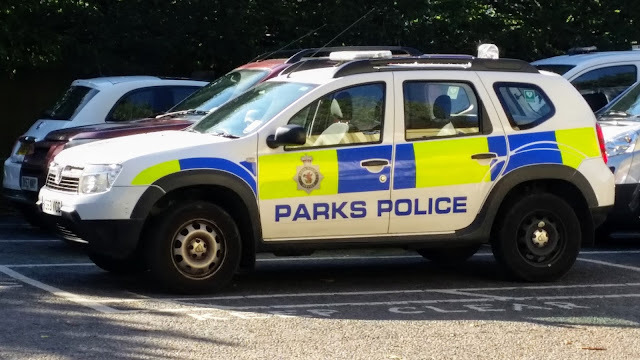 London has four private Police forces that look serve London's parks. Police Telephone Post (nonfunctional), Walbrook. 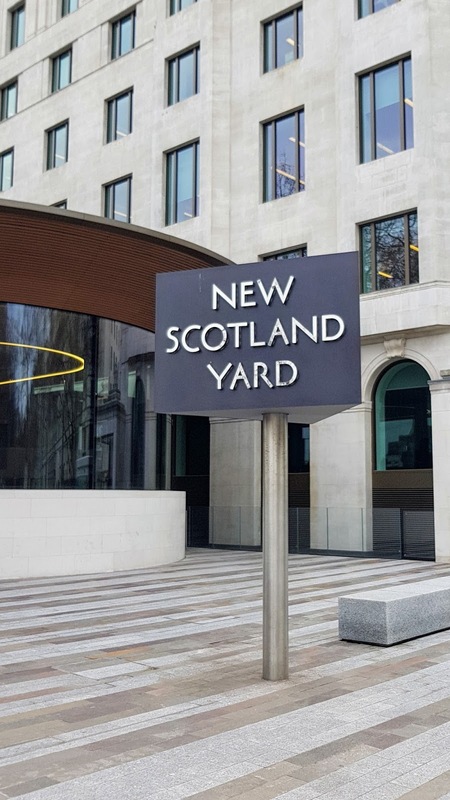 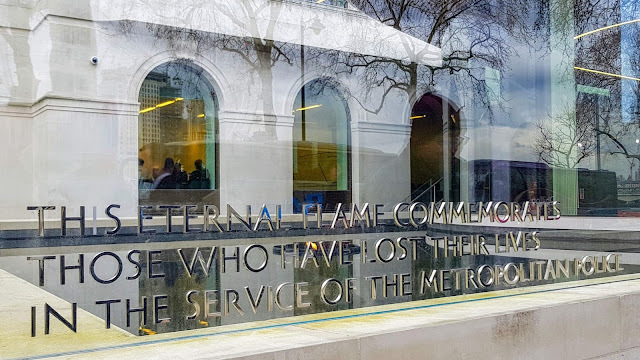 New Scotland Yard (2016-present), Embankment.